Imhotep is characterized by its unique and user friendly interface. We believe that simplicity is the key of our system. Imhotep provides perfect and flawless compatibility between various platforms and devices. 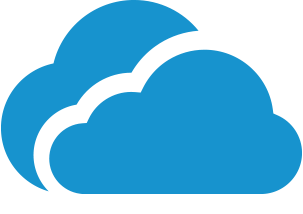 Using the most advanced security algorithms, imhotep is hosted on Microsoft Azure, ensuring 24/7 protection and backup of your data. We are always seeking continuous improvement and updates for our clients, our European consultants are always providing us with the latest updates. Our 24/7 hotline and expert team are always happy to help you whenever you need and wherever you are. IMHOTEP is a dynamic system ready to be tailored as you need while maintaining the best performance and experience. 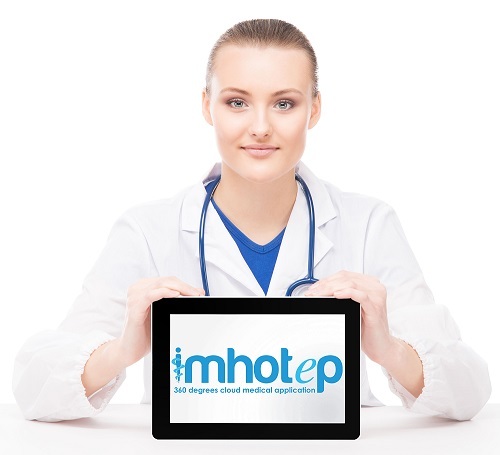 Imhotep is specialized in its advanced, unique and professional web portal, which includes all clinical management modules. The system targets doctors and clinics across all specialties. It is a complete software that handles all interactions between patients and clinics, from appointment reservations, to doctors’ diagnosis and treatments. A patient’s medical history can be easily accessed from the system and mobile app. All the medical data are stored and centralized in one secure database, from which advanced custom dynamic reports and statistics can be generated. The system is characterized by its unique interface and high performance and includes a Patient mobile applications, Doctor mobile app and a web application accessible anywhere at anytime. Our dynamic patient card interface will make you customize the form as you need. From the patient file you can attach any type of document, create your own medical templates and have a very advanced dashboard summarizing the patient medical status.Patients can now fill their medical information from any tablet upon waiting in the clinic. with our smart calendar, forget about the burden of managing your appointments and focus on the patient file and medical data. Our color coded calendar is specialized with its unique interface and with a click of a button you can access all the needed information. Forget about missing any medical information related to your patient. All medical, physical, surgeries, Lab tests and medical images will be tracked and noted on the system. You will also have a dynamic documents and scoring page including all the needed pre-defined documents, you can also customize your own forms. Re-order item quantity report, Creating and managing vendors, creating and managing purchase orders and item receiving. Managing expenses, Managing commissions and creating and managing Suppliers financials. Track and monitor all your invoices, payments, expenses and doctor commissions in our financial module, its characterized by its automation between the doctors and their assistance. Track your daily financials reports, outstanding balances and advanced payments. IMHOTEP includes a web based POS that can be accessed from any device and is characterized by its user interface. The users can customize the POS screen as needed, generate invoices, payments, stock adjustments and financial reports. IMHOTEP anatomy module is characterized by its graphical interface, the doctor/therapist will be able to work and input data graphically from any desired image. The image anatomy will be color coded and customized with the corresponding form of each anatomy section to be filled by the doctor. The system includes a patient mobile app to follow his treatments appointments, news, medicine notification, upload images and interaction with the doctors. A doctor mobile app to manage his patients, follow his appointments and keep track of the patients’ medical records and images. IMHOTEP is now adopted by Microsoft and characterized by its integration with microsoft power BI presenting a very advanced reporting and dashboard tool. Doctors can now easily generate analysis, dashboards and statistics of their medical records. With Imhotep notification engine, patients can now always be up to date and never miss an appointment by receiving email or SMS notifications of their appointments and treatments. Doctors can also receive an on-screen notification to always follow up on their patients. Advanced loyalty and marketing tool for clinics & center is coming soon.